Derby Choral Union is Derby’s longest-running voluntary choir and has performed concerts every year since its formation in 1866. 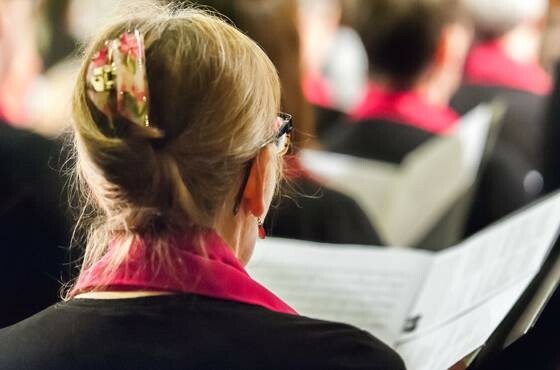 With over 100 members, we hold three concerts each year, performing choral works from the classical to the contemporary to the highest standards. Now in our 153rd year, the choir is recognised as one of the foremost choirs in the East Midlands and continues to attract new members and audience with our innovative programmes of music, guided with the enthusiasm and exacting standards of our Musical Director, Richard Dacey. In addition to our regular season of three concerts, over the past ten years we have enjoyed six successful overseas tours, the most recent being a concert exchange with the Marienkantorei choir of Osnabrück, Derby’s twin town in October 2018. 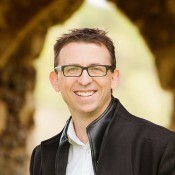 Will Todd became Derby Choral Union's President in January 2017, affirming his long-standing connection with the choir. Early in Will's professional career in 1999, Derby Choral Union commissioned him to compose a new work in celebration of the new millennium, which resulted in the performance of a unique new work, Song of Creation. In 2011 the choir performed his highly acclaimed Mass in Blue and has more recently invited him to speak at our 150th Anniversary Dinner, at which he enthusiastically told us of his career, the state of choral music and culminated in leading guests to perform an impromptu jazz-themed rendition of Happy Birthday. In December 2016 the choir performed his Jazz Magnificat with the Midland Youth Jazz Orchestra and we continue to include his works as part of our programmes on a regular basis. 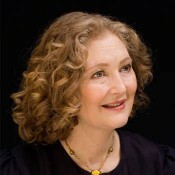 Dame Emma Kirkby is the internationally renowned soprano and her pre-eminence in the world of early music was demonstrated to perfection in our first Patron's Concert in November 1996, having become Patron in May 1993. In June 2011 Dame Emma was presented with the highly prestigious Queen's Medal for Music. Born in Cardiff, Richard studied at the Royal College of Music and University of London. 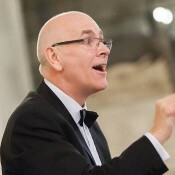 He has extensive choral experience both in the UK and abroad having worked with some of the world's leading conductors and composers including Sir Simon Rattle, Sir Andrew Davis, Trevor Pinnock, John Rutter and Sir Karl Jenkins. Richard has trained and conducted choirs and choruses of all ages and conducted the BBC Concert Orchestra, the orchestra of the ROH, the Marylebone Camerata and the Heart of England Orchestra. He spent twelve years as Director of Music at Repton School and is currently Head of Performing Arts at the Wigston Academy Trust in Leicester. Richard's diverse musical tastes ensure rehearsals are always lively, informative and enjoyable. Kate joined the choir in the 1980s and acts as Deputy to the Musical Director at both rehearsals and concerts, in addition to directing extra-curricular musical events such as our 2014 Christmas fundraiser at Intu Derby and the forthcoming concert at Sutton-on-the-Hill in May 2016. 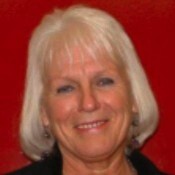 Kate plays piano and organ and was formerly Head of the Performing Arts Faculty at Heanor Gate Science College. In November 2004 Kate was awarded the MBE for her services to music. David joined Derby Choral Union in January 2017 as Rehearsal Accompanist. David began his musical training as a choral scholar in Coventry Cathedral Choir. He was educated at King Henry VIII School, Coventry, and York University, where he took a degree in music. During his career he has taught music at schools in Birmingham, Iceland and Nottingham. Since 2002, he has taught piano and theory at Trent College. He is one of the school’s accompanists and plays the organ for the chapel services. David was for two years conductor of the Ravenshead Choral Society, (1991-3) and from 1998-2007 he was accompanist of the Ruddington & District Choral Society before becoming its Musical Director from 2008-2015. He sings from time to time in Derby Cathedral Choir and is currently organist and choirmaster at All Saints’ Church, Ashbourne. 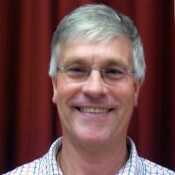 Antony joined the choir in November 2008 and became Chairman in June 2014. He has set out a three-year vision for laying the foundations for the next chapter of the choir’s history as it passes its 150th anniversary season. Since becoming Chairman, Antony has overseen a successful Arts Council funding application, commissioned a new brand identity and began implementing a membership rejuvenation programme. 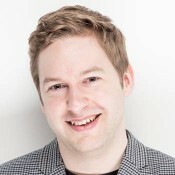 Antony has over 10 years' experience performing in choral societies and served on the committee of Manchester Universities' Choir and Orchestra Society in 2006/07. Interested in Joining a Choir in Derby? We are widely recognised as being one of the friendliest choirs in the region and are always keen to welcome new members to sing with us. If you have been considering joining a choir, you can apply to attend our rehearsals and take the first step towards your music making journey with us. If you are a full time student or 25 and under and pass your audition, you qualify for our choral scholarship, which means your membership fee is covered by the choir. Members aged 26-35 pay half the membership fee. More information can be found on our Join Derby Choral Union page, which includes a handy FAQ answering many questions about joining the choir.